I'm pleased to welcome Ginger Knowlton to Cuppa Jolie. Ginger will be sharing her views, along with three other agents, on the final panel of the conference: The Current Market for Your Work. From the Curtis Brown LTD website. Ginger Knowlton represents authors and illustrators of children's books in all genres, as well as a few adult book authors. Her list includes Newbery Medalists, Newbery Honor and Printz Honor winners, Edgar and Lambda winners, a Sibert and Orbis Pictus winner, New York Times bestsellers, and a host of other delightful and talented clients. Ginger started working at Curtis Brown as an assistant to Marilyn Marlow, one of the first literary agents to specialize in children's books in the 1960s. Working for Marilyn was a rite of passage, affectionately referred to as Curtis Brown’s "Boot Camp." Before joining the company, Ginger worked in the field of early childhood education in Sacramento and Mendocino, California. She has served on the Board of Directors of the Association of Authors' Representatives and currently serves on the Board of Directors of the Friends of the Library in her hometown in Westchester County. Conferences can be a bit overwhelming. What advice do you have for conference-goers, especially those attending for the first time? Writers often ask, "How do I know when my work is ready to submit?" Do you have any sort of measuring stick or advice for knowing when? My simple answer is: it’s ready when it sings ~ but I realize that’s subjective. My short answer is: No. I know some authors finish a manuscript and decide to submit it to a lot of agents/editors at once—sort of flooding the field—and I recommend that you start out slower than that, in case you get actual feedback from someone who might help you make the submission stronger for the next round. While it’s important to be open to advice and other opinions, it’s also important to stay true to yourself and your writing. I realize this sounds cliché. Do you have a particular pet peeve when it comes to receiving queries/submission? Well, like everyone, I want the query to be addressed to me (Ginger Knowlton), not to Curtis Brown or Ginger Knowlton Clark or Agent or Tracey Adams (hey, Tracey!). And please take the time to proofread your queries and submissions so there are no misspellings. With spellcheck available, there’s just no excuse for that. I’m not saying I won’t read it if there are mistakes, but it is distracting, and why distract me from your writing when you’re hoping I’ll be enthusiastic about it? Can you share with us a client's forthcoming or recently published book that you're extra excited about? Thank you so much, Ginger! To register for the upcoming conference, or to learn more about SCBWI visit scbwi.org. 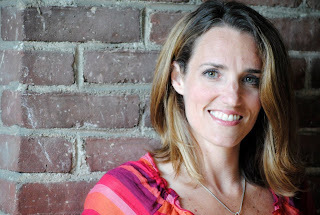 Great interview, and I liked the advice about having someone else read your work out loud, recording it, and then listening to it... And I'm with you, Jolie - I love hearing these SCBWI success stories! Wonderful interview, Jolie and Ginger. Can't wait to see you both in January! Oh, great tips! I think it's so smart to submit in batches! Each piece of a submission--the query letter, the synopsis, and the manuscript itself--can improve with time and feedback. I enjoyed reading Debbie Ridpath Ohi's story! Yay! Thank you both for sharing this with us! Good and informative interview. 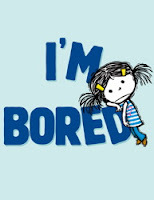 Looking forward to "I'm Bored" as well and seeing Debbie's illustrations. Very nice article and I am Obat Bius very happy to meet with your blog, the articles are very interesting, thank you for share very amazing article and I wait for the next quality articles. Sebenarnya, menjadikan halaman rumah indah Anda senantiasa rapi dan bersih tidaklah sulit. Namun, kemalasan diakibatkan debu yang menempel di taman bunga, cucian yang menumpuk, dan juga kekacauan lainnya menjadikan Anda sangat susah untuk membersihkan rumah nyaman Anda tampak kotor dan tidak enak dipandang. Apalagi jika tiba-tiba tamu berkunjung kamar anak? Anda malah kerepotan nantinya! Tak peduli kecil ataupun besar, klik selanjutnya kebersihan merupakan kunci utama terciptanya menata rumah yang nyaman untuk ditinggali. Tak hanya sebagai pelindung dari pengaruh luar seperti angin atap bocor, hujan dan kotoran, rumah adalah fasilitas sosial utama dalam suatu atap beton. Lalu apa saja kebiasaan sehat yang perlu diterapkan agar seluruh anggota keluarga makin nyaman berinteraksi dan beraktifitas di furniturenya? Lee Wind - I'm Here. I'm Queer. What the Hell do I read?